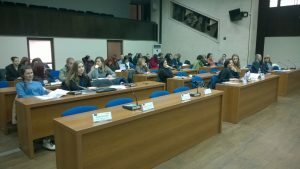 “Act Social – A CTions for the SuppOrt and enhancement of SocIAl entrepreneurship at Local level” project was presented to the beneficiaries, policy-makers and other interested stakeholders on the opening event carried out on 27th February in Blagoevgrad. The aim of the event was to give information about project idea, its objectives and aims, target groups and expected results. 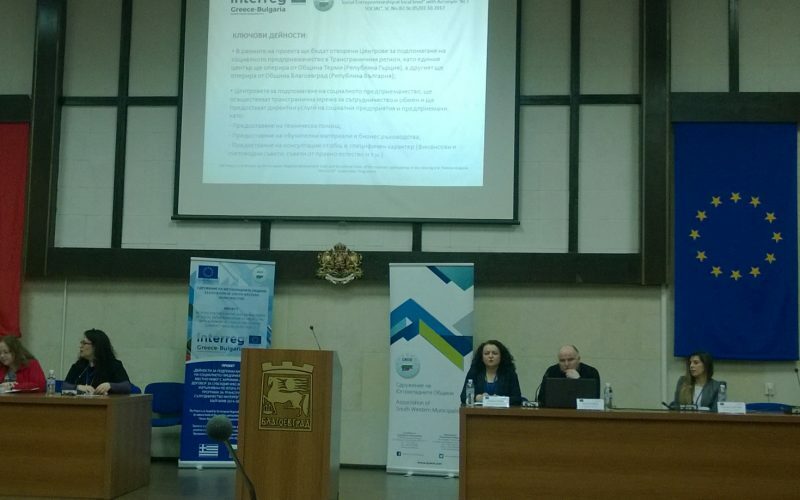 After short presentation of the partners, the audience had the opportunity to hear more about Social Entrepreneurship – main characteristics, examples and models as the overall objective of the project is to expand social entrepreneurship and to raise employment rates in the Cross Border area. Act Social project is funded by INTERREG V-A COOPERATION PROGRAMMΕ: GREECE – BULGARIA 2014-2020. It is implemented in cooperation of Municipality Thermi, Greece, Association of South Western Municipalities and Association Euni Partners and aims to detect and determine the social impact of social enterprises measured in terms of employment integration in the cross border area and develop support structures and tools. 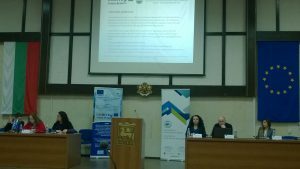 Support Structures of Social Innovative Entrepreneurship will be developed with the form of one stop shop Help Desks , both in Blagoevgrad and in Thermi. These Structures along with the tools provided will be commonly designed and developed and will implement a cross border network of cooperation and exchanges.